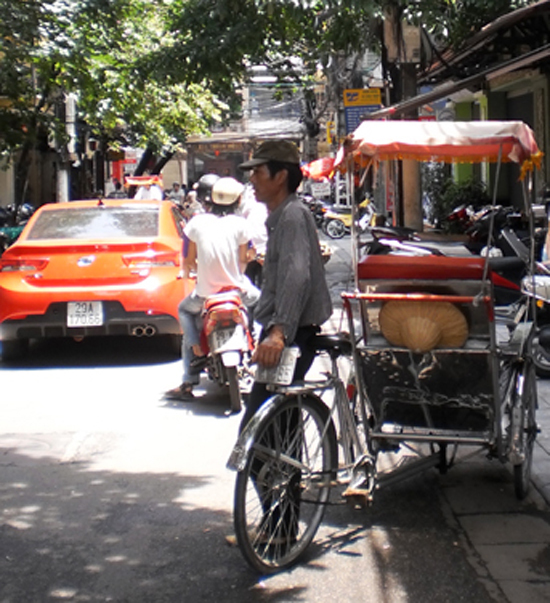 Hanoi is one of the craziest places in Southeast Asia to roam the streets, whether on some form of transport or on foot. Here's how to get out alive. It starts from the minute you leave the airport or station. 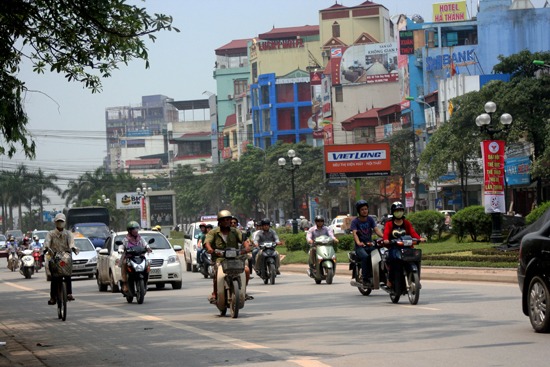 I recall arriving back here in 2010, early one morning after a train from Hue, and literally closing my eyes as the driver shot across crossroads, and through red lights, at speed. And if you’re coming from the airport, you have the terrors of the highway to face. I have to say, that feeling doesn’t go away altogether, but you learn to cope with it. The main tricks to learn are about crossing the road. Anyone who’s been here will already know the “rules”: walk slowly but steadily across the road, allowing vehicles to move around you and don’t stop suddenly except in an emergency. This works, but you still need to be alert — don’t expect all the drivers to be fully concentrating, especially in these days of mobile phones, and expect traffic to come from all angles, even on a one-way street. So keep looking around as you’re walking, just in case. Also bear in mind that while Old Quarter is particularly hectic, at least the traffic tends to move slowly, and it’s mainly bikes. Once you get out of Old Quarter and onto some of the main roads, you’ll be faced with a lot more cars as well as buses and trucks. Adopt the same approach but be even more aware and take your time to choose a good moment to cross — there will be occasional breaks in the traffic so be patient. Sometimes you’ll find so-called pedestrian crossings at traffic lights, but still take care when crossing and bear in mind that traffic turning right doesn’t tend to stop at a red light; so even if the little man is green, there might be traffic passing by. If you’re with a group, line up and cross together, giving traffic more room to manoeuvre around you. Do not just wander across in a loosely formed clump or in single file. Unfortunately, it’s not just when crossing the road that you’ll need to watch for traffic. Footpaths are frequently non-existent, especially in built-up, heavily populated areas with narrow streets, such as Old Quarter. This means you will often have to walk in the road. I was always taught that you should walk facing oncoming traffic, and that rule applies here. Well, as far as it can, given traffic doesn’t necessarily drive on the right side of the road or the right way down a one-way street. But it’s a place to start. Single file is best, unless the road’s really quiet, otherwise you’ll end up constantly having to move out of the way of traffic. Also bear in mind that traffic sometimes drives on the footpath, particularly when trying to avoid traffic jams on main roads. You could do as my friend does and refuse to move out of the way while giving the driver a “this is my space, get back on the road you idiot” stare, or you could just move out of the way. I’d suggest the latter. A final word of warning: do not become complacent. Yes, traffic will move around you but don’t treat the roads as the footpath — even if drivers treat the footpaths like the roads.